ROK MINI/MICRO | Full Throttle Karting! The Mini ROK engine is aimed at the younger generation of kart drivers, and is used for the Mini ROK class and Micro ROK class (with restrictions, see below).Thanks to some of its key features it is safe and easy to use, so that young drivers can become familiar with the kart without tension. The engine has the following features: Single-cylinder 2 stroke engine, displacement 60cc, piston port. Air-cooled, equipped with centrifugal dry-clutch and integrated electrical starter. The engine comes in two configurations, bare engine or in a complete kit with Dell’Orto PHBG Ø 18mm carburettor, Dell’Orto fuel pump, Vortex intake silencer and exhaust with integrated exhaust silencer, starter complete with battery and battery support. 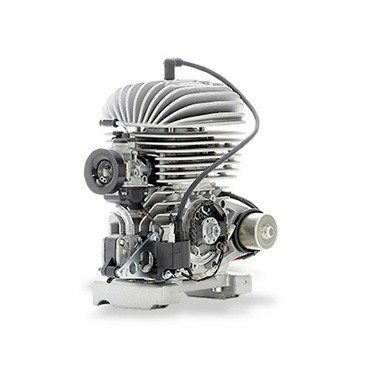 Mini Rok engine is aimed at the younger generation and for more than a decade has spread worldwide, therefore more and more federations have chosen it as national entry level category. Micro ROK engine restrictions: spec gear (82); spec jet (95); restricted exhaust header. See the ROK Cup USA Rulebook for complete rules and regulations concerning engines for a particular class.